John from Big Rig Quilting gave me a mention on his blog. Check it out! ... but it isn't me! Natasha has been following my quilt along and used one of my designs in her border. Check it out! What did I do today instead of quilting? I actually saw nine bears and an uncounted number of waterfalls today, but sadly the upload speed on the wireless in my condo won't let me show them all to you. Tomorrow, I don't think I will see any more bears or any more waterfalls. I leave before sunrise to fly to Utah to film Quilt It! I promise to take photos and share them with you. An adventure + a give-away! Remember my love of all things tablerunner-ish? This new series is my cup of tea! Starting today, there will be a give-away for 2 free workshops. Go to Patchwork Posse and leave a comment on the post on the front page for one chance to win. Want more than one entry? Leave another comment to let us know you tweeted. · Winner can be from anywhere worldwide since it is an online workshop!! So, what are you winning? · Who are the designers? · Rugs & Runners Online Workshop. For 4 months, a new pattern for a Table Runner + an adjustment for a Mug Rug will be posted. These are exclusive patterns by super talented designers! Each month the patterns will feature a different season. 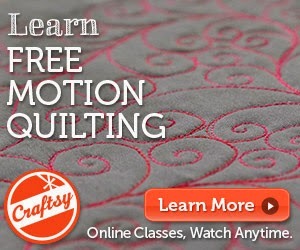 The workshop site is available 24/7 allowing you to sew on your own time and in your own home. Besides the patterns you will have access to a gallery to post your photos, a forum to ask questions, and a community of worldwide members. Don’t miss out on these great patterns by your favorite designers! I actually have something on my design wall! It is a dreary rainy day here in NY, so the photo is not great. Sorry! In a few weeks I will be filming an episode of Quilt It, a longarm quilting show on QNNtv.com, and these are my samples. I just finished the applique and piecing and will start quilting them in the morning. How will I qulit them? Stay tuned. Did anyone else sing that as a choir warm up exercise? We did the mi-mi-mi-mi-mi-mi-mi and he-he-he-he-he-he-he and then added words. I'm on some serious deadlines and not getting much sleep so my brain goes weird places like 4th grade choir rehearsal. Sorry. But, What am I doing today? I have all three longarm machines fired up. It's a super-secret project I promise to show you later. I am adoring every second of it and will have to make another one just for me. It's a semi-secret project I promise to show you later. It's a scrappy, messy, thready project that I hope to spend a few minutes on tonight if I finish the super-secret quilt and part of the semi-secret quilt in a timely fashion. Now tell me, what are YOU doing today? Today's free-motion quilting pattern is inspired by the view from my sewing room. The entire hillside is covered with ferns. This design combines the fiddlehead and the fern. That was the last design! Pick a few and quilt your quilt!